The Woodstock Film Festival is proud to present a special free screening of THE PROMISE on Saturday April 15 at 1 pm at Upstate Films in Woodstock. Producer Bill Horberg will attend for Q&A following the screening. You do not want to miss this opportunity to see this film prior to its theatrical release April 21. This historical drama/romance is directed by Academy Award winning Terry George and features Oscar Iaac, Charlotte Le Bon, Christian Bale, and Shohreh Aghdashloo. Terry George's film RESERVATION ROAD was screened at the 2007 Woodstock Film Festival. Registration is full, however, we are still taking Standby signups in the case that some seats free up. Sign up here and you will be notified if a seat has freed up. "Empires fall, love survives. When Michael (Oscar Isaac), a brilliant medical student, meets Ana (Charlotte Le Bon), their shared Armenian heritage sparks an attraction that explodes into a romantic rivalry between Michael and Ana’s boyfriend Chris (Christian Bale), a famous American photojournalist dedicated to exposing political truth. As the Ottoman Empire crumbles into war-torn chaos, their conflicting passions must be deferred while they join forces to get their people to safety and survive themselves." Signe Baumane has made significant contributions to the Woodstock Film Festival since the very beginning. She worked for the Annual Animation Spectacular before passing the baton to Joy Buran and Noelle Melody in 2016. Signe has also had several films featured at the Woodstock Film Festival over the years. Signe Baumane's new Animated Feature Film, MY LOVE AFFAIR WITH MARRIAGE, is currently in production. We are incredibly grateful for all of her time and commitment to the Woodstock Film Festival and wish her great success in this new endeavor. The following films have had recent or have upcoming release dates that are causing a lot of buzz for the following months. This past fall JUNCTION 48 screened at the Woodstock Film Festival. The film opened in both New York City and Los Angeles on March 3, and is also available nationwide on TUGG. The film was directed by Udi Aloni and written and produced by Woodstock Film Festival's Fiercely Independent Award recipient Oren Moverman. "JUNCTION 48 is the love story of two young Palestinian hip-hop artists who use their music to fight against both the external oppression of Israeli society and the internal repression of their own crime-ridden, conservative community." LOVE & TAXES, which had its East Coast premiere at the 2015 Woodstock Film Festival, opened on March 3. Screenwriter Josh Kornbluth participated in Q&A back in 2015. Comedic, smart and completely unique, this hilarious film about taxes may be more relevant now than ever. The filmmakers and stars, including Jacob Kornbluth, Josh Kornbluth, Brian Newman, Robert Reich, and Harry Shearer, will be in attendance at some of the screenings. "LOVE & TAXES is a riveting comic tale of seven years of tax avoidance. Following the possibly real-life exploits of Josh Kornbluth, an autobiographical monologist, LOVE & TAXES is a comedy that blends solo performance and scripted scenes to bring the subjective reality of the storyteller hilariously to life." Anjul Nigam and Roni Akurati, stars of GROWING UP SMITH (then titled GOOD OL' BOY), at the 2015 Woodstock Film Festival with longtime Woodstock Film Festival venue manager Charlene Boswell. GROWING UP SMITH, was released on February 3. The film expanded nationwide starting March 24 to two separate theaters: Mariemont Theatre in Cincinnati, Ohio and Celebration! Cinema Woodland in Grand Rapids, Michigan, with further theaters to follow. The film has received outstanding ratings on Rotten Tomatoes. At the 2015 Woodstock Film Festival the film, then titled GOOD OL' BOY, won the Audience Award for Best Narrative. "In 1979, an Indian family moves to America with hopes of living the American Dream. While their 10-year-old boy Smith falls head-over-heels for the girl next door, his desire to become a "good old boy" propels him further away from his family's ideals than ever before." GOD KNOWS WHERE I AM had a special screening in 2016 at the Woodstock Film Festival and was accompanied by a BMI Music for Film panel featuring directors Todd Wider and Jedd Wider, narrator Lori Singer and composer Paul Cantelon composer. There was also an amazing live performance by Singer and Cantelon accompanied by the fabulous Angela Mccluskey. GOD KNOWS WHERE I AM has been the recipient of numerous awards and will have its theatrical opening in New York City at Lincoln Plaza Cinema on March 31. The creative team behind GOD KNOWS WHERE I AM at the 2016 Woodstock Film Festival. "The body of a homeless woman is found in an abandoned New Hampshire farmhouse. Beside the body, lies a diary that documents a journey of starvation and the loss of sanity, but told with poignance, beauty, humor, and spirituality. For nearly four months, Linda Bishop survived on apples and rain water, waiting for God to save her, during one of the coldest winters on record." NEWTOWN Premieres on Independent Lens Monday, April 3, 2017 on PBS at 9:00pm ET. Be sure to check your local listings. This wonderful film screened in a special screening through the Woodstock Film Festival on August 24, 2016 at Upstate Films: Rhinebeck. An in-depth discussion followed with producer Maria Cuomo Cole and director Kim A. Snyder. "Filmed over the course of nearly three years, the filmmakers use unique access and never before heard testimonies to tell a story of the aftermath of the deadliest mass shooting of schoolchildren in American history on December 14, 2012. Newtown documents a traumatized community fractured by grief and driven toward a sense of purpose. Joining the ranks of a growing club to which no one wants to belong, a cast of characters interconnect to weave an intimate story of community resilience." THE DINNER, directed by Oren Moverman, stars Richard Gere, Laura Linney, and Steve Coogan. The film will be in theaters May 5. Oren Moverman was presented with the honorary Fiercely Independent Award by Ben Foster at the 17th Annual Woodstock Film Festival. THE DINNER will also appear in the Spotlight Narrative category at the 2017 Tribeca Film Festival. "A look at how far parents will go to protect their children. Feature film based on a novel by Herman Koch." WALKING OUT screened at SXSW Film Festival on March 12 of this year. The film has also recently been acquired by IFC. This acquirement is exciting news for co-producers Andrew J. Smith and Alex Smith, who are friends and alumni of the Woodstock Film Festival. Alex Smith is a Woodstock resident and both brothers were at the 2013 Woodstock Film Festival for WINTER IN THE BLOOD. We are looking forward to the theatrical release of this exquisite film this coming fall. "An urban teenager journeys to Montana to hunt big game with his estranged father. Father and son struggle to connect, until a brutal encounter in the heart of the wilderness changes everything." Several films with ties to the Woodstock Film Festival are now available on demand, making it possible to access these incredible films at any time. DEEP RUN has been on Netflix since March 1. DEEP RUN screened at the 2015 Woodstock Film Festival where director Hillevi Loven, and producers Samara Levenstein and Chris Talbott attended for Q&A. "EP Susan Sarandon's DEEP RUN is a powerful verité portrait of trans life in rural North Carolina. Cole Ray Davis is a young trans man who uses his candid humor and steadfast, all-inclusive Christian beliefs to counter the bigotry he experiences daily." LEFT ON PURPOSE is now available for rent or purchase on iTunes, Amazon, Vudu, Google Play, Microsoft Film & TV, and Vimeo. This compelling documentary had its world premiere at the 2015 Woodstock Film Festival. Director Justin Schein and co-director David Mehlman attended the festival and participated in Q&A. LEFT ON PURPOSE was the winner of the Audience Award at the 2015 Woodstock Film Festival. "Left on Purpose is a documentary film about the friendship between an aging anti-war activist who has decided that his last political act will be to take his own life and the filmmaker who is struggling to tell the story." LINER NOTES is now available on Amazon. The film was co-written and directed by longtime friend of the Woodstock Film Festival Gregg Bray, this film impresses and entertains at every turn. LINER NOTES screened at the 2016 Woodstock Film Festival, where Gregg Bray attended for Q&A. "With the aid of the guitarist for her Dad's long defunct band, a young woman learns that the past is only as amazing as the one who chooses to write it down." We would like to extend our congratulations to Woodstock Film Festival alumni that have recently been presented with a variety of awards for their amazing films. Woodstock Film Festival friend and advisory board member Ron Mann recently announced great news from Berlin regarding his film ON BODY AND SOUL. The Hungarian love story won the Golden Bear Award at this year's Berlin International Film Festival. The film was released in Hungary on March 2. "An unusual love story set in the everyday world, based around the duality of sleeping and waking, mind and matter." MOST BEAUTIFUL ISLAND had its world premiere at the 2017 SXSW Film Festival on March 12. SXSW declared the film as the Grand Jury Winner for the Narrative Feature Competition, and we would like to extend our congratulations to our good friends, and the producers of the film, Larry Fessenden and Gill Holland for this amazing accomplishment. Larry Fessenden was a co-producer for STRAY BULLETS, which had its North American premiere at the 2016 Woodstock Film Festival. Gill Holland is an advisory board member for the Woodstock Film Festival. "An undocumented young woman struggling to begin a new life in New York City is offered an opportunity she can’t pass up. But as day turns to night she discovers she’s been lured to the center of a dangerous game." Woodstock Film Festival friend and alumni Joe Weisberg, creator of THE AMERICANS, and the rest of his team, recently won Best Drama Series at The Writers Guild of America. Joe Weisberg was at the 2015 Woodstock Film Festival where he participated in Q&A after the screening of Season 3, episode 10, "Stingers" of the hit TV series, THE AMERICANS. "Two Soviet intelligence agents pose as a married couple to spy on the American government." MANCHESTER BY THE SEA received 5 Academy Award nominations this year and went on to win 2 of these nominations. The film won Best Actor in a Leading Role (Casey Affleck) and Best Writing Original Screenplay (Kenneth Lonergan). 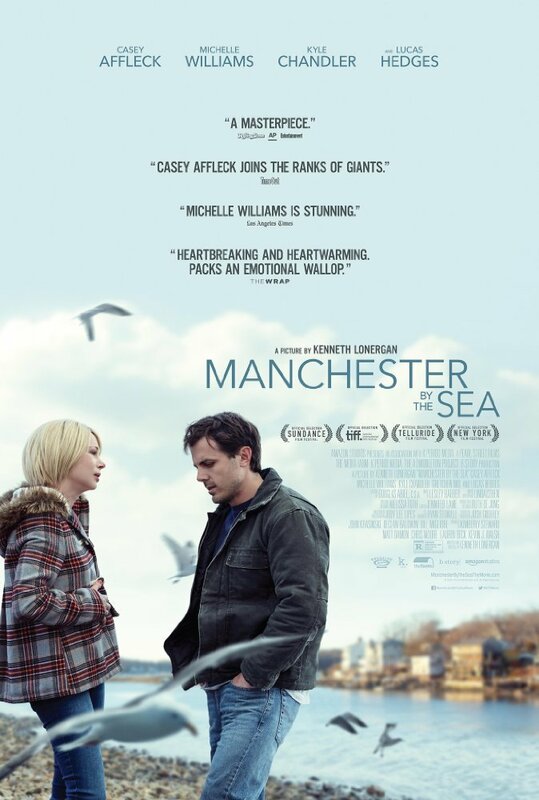 MANCHESTER BY THE SEA had strong involvement of Hudson Valley residents including Declan Baldwin (executive producer and unit production manager), Amy Teitter (set decorator) and Derek Ravita (assistant local director trainee). MOONLIGHT by Barry Jenkins won 3 out of its 8 nominations at this year's Academy Awards. The film won Best Actor in a Supporting Role (Mahershala Ali), Best Picture (Adele Romanski, Dede Gardner and Jeremy Kleiner), and Best Writing Adapted Screenplay (Screenplay by Barry Jenkins and Story by Tarell Alvin McCarney). With the 2017 Tribeca Film Festival right around the corner (April 19 – 30), we are excited to see several films with strong ties to the Woodstock Film Festival and the Hudson Valley be recognized at this prominent festival. The films that are being acknowledged this year include ACORN AND THE FIRESTORM, THE LOVERS, MY FRIEND DAHMER, NO STONE UNTURNED, and THIRST STREET. Additionally, there have been a number of films with connections to the Woodstock Film Festival that were recognized at the 2016 Tribeca Film Festival, two of which have upcoming release dates. The first film, THE TICKET, opens April 7. The producer, Oren Moverman, has been to the Woodstock Film Festival with several films, including THE MESSENGER. The second film, LITTLE BOXES, opens April 14. The director, Rob Meyer, was at the 2014 Woodstock Film Festival with his feature film A BIRDER'S GUIDE TO EVERYTHING. A full list of this year's features can be found here; however, there are a few films that we would like to highlight since they have relations to the Woodstock Film Festival and the Hudson Valley area. ACORN AND THE FIRESTORM, directed and written by Reuben Atlas and Sam Pollard, will have its world premiere in the Spotlight Documentary category. Sam Pollard's film TWO TRAINS RUNNIN' had its New York premiere at the 2016 Woodstock Film Festival. THE LOVERS, with Azazel Jacobs as co-producer, director, and screenwriter, will have its world premiere in the Spotlight Documentary category. Azazel Jacobs' TERRI had a special screening at Soho House, NYC in 2011 for Woodstock Film Festival's annual fundraising event. MY FRIEND DAHMER, with Marc Meyers as director and screenwriter, will have its world premiere in the Viewpoints category. Marc Meyers' HOW HE FELL IN LOVE had its New York premiere at the 2015 Woodstock Film Festival. NO STONE UNTURNED, directed by Alex Gibney, will have its world premiere in the Spotlight Documentary category. Academy Award winner Alex Gibney is no stranger to the Woodstock Film Festival, beginning with his 3 time Emmy Award winning film MEA MAXIMA CULPA: SILENCE IN THE HOUSE OF GOD screening at the 2012 Woodstock Film Festival. He was also the director of STEVE JOBS: THE MAN IN THE MACHINE, which had a special screening at the Woodstock Film Festival on August 14, 2015. THIRST STREET, directed and written by Nathan Silver, will have its world premiere in the US Narrative Competition category. Nathan Silver's UNCERTAIN TIMES had its East Coast premiere at the 2014 Woodstock Film Festival. This years' Tribeca Film Festival is chalk full with Woodstock Film Festival alumni, and it is riveting to see them continue to impress the film industry.